In this section students can download all CBSE NCERT Books for class 12, 11, 10, 9, 8, 7, 6, 5, 4, 3, 2 and 1 with all subjects for Punjab Board, UP Board (High School & Intermediate 2018-19), CBSE Delhi Board, MP Board (Madhya Pradesh), Uttarakhand, Gujrat Board (GSEB -for class 9 and 11), Bihar Board etc. These NCERT Books are also very useful for IIT-JEE Main, JEE Advanced, BITS, NEET, AIIMS, UPSE, Civil services exams, IAS entrance exams etc. Download any subject NCERT book, like Maths, Science, Social Science, Hindi, English, Physics, Chemistry, Biology, Business Studies, History, Geography and other subjects in PDF form. Books for all CBSE classes and all Subjects. 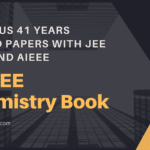 Also, download revision books for CBSE study material based on the latest CBSE Syllabus 2019-20. Along with NCERT books, solutions to NCERT of all subjects in PDF is also available to download in the form of PDF files. 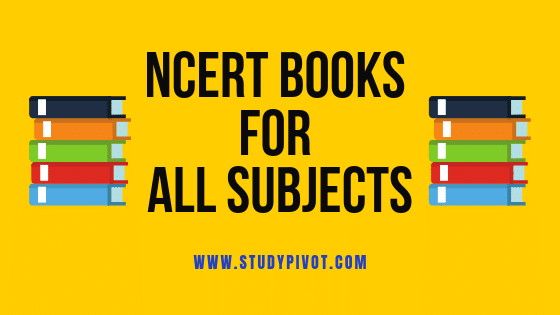 Download NCERT textbooks for class 9th and 10th in PDF form. Textbooks of Mathematics, Science, Social science, Hindi course A and Course B, English with drama and novel. Gujrat & UP Board Secondary School (High School) Books for class 9 Science, Maths and Social Science will be from NCERT and Secondary School Class 10 books will be of only two subjects Maths and Science. NCERT Textbooks for MP Board is given below to download. Download CBSE textbooks for 6th, 7th and 8th class in PDF form. All subjects of the middle class like maths, science, social science (History, Geography and Political science), English and Hindi. Download NCERT Textbooks for class 1st, 2nd, 3rd, 4th and 5th class in PDF form. CBSE books for all primary classes to download. Class 5, 4 and 3 Maths, EVS, English (Marigold), Hindi (Rimjhim) in Hindi and English. Connecting knowledge to life activities, learning to shift from rote methods, the learner is encouraged to think, encourage in activities, master skills and competencies. Enriching the study material beyond textbooks, learning experiences for construction of knowledge. To help the learner in the total development of his/her in solving difficulties and guide them properly without any charge. Mathematics is essential in the study of various subjects and in real life also. Many students have math phobia and in order to help them overcome this phobia, we are always ready to help and guide them. Conceptual understanding of basic ideas and problem-solving are the two main components of mathematics learning. Hence, NCERT Exemplar is prepared in such a way to facilitate mathematics learning by doing mathematics and well-balanced text and exercises. Vedic Maths makes mathematics easier and faster, so it is advised to use it in daily practice. Holiday Homework section is maintained to help the students in school work. If you need CBSE NCERT Books in ZIP file format, please Click Here. Uttar Pradesh Board (UP Board) also implementing the NCERT Books for Senior Secondary classes (intermediate). UP Board has confirmed NCERT books for class 11 History, Geography, Civics, Maths, Physics, Chemistry, Biology, Economics and sociology. Books for class 12 Physics, Chemistry, Biology and Maths. Gujrat Secondary and Senior Secondary Education Board (GSEB) is also going to follow NCERT Books 2018-19 onward.